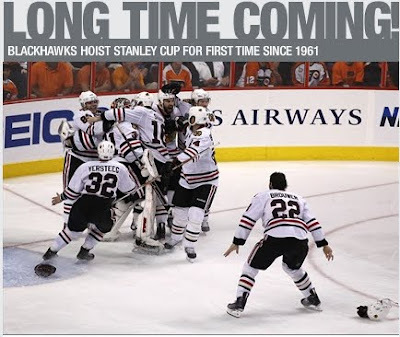 Your 2010 Stanley Cup Champions, The Chicago Blackhawks! A stellar time for Chicago sports fans, enjoy it....even your 1985 Bears did not accomplish something this great. 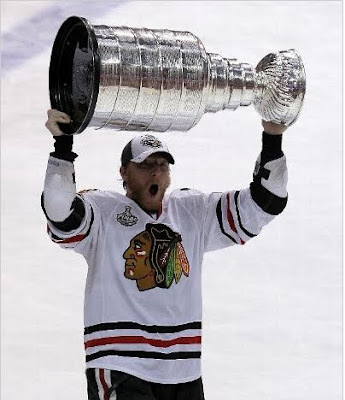 I think I can justify Marian Hossa lifting The Stanley Cup easier than I can resolve the Cup in Philly. Not because I can't stand the Flyers though..
Maybe that can be a post for later this summer. You burned your bridge, this is your punishment. Football can keep it's Madden Curse! 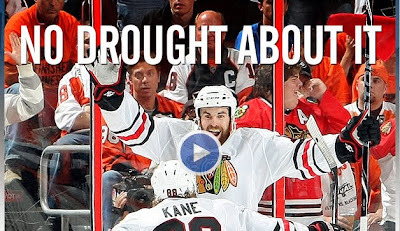 Congratulations to Marian Hossa, you've made history! 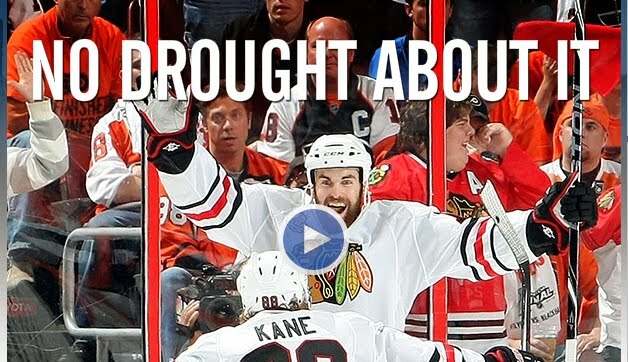 Coming up: More player profiles and whatever shenanigans we come up with to pass time until September!